A recent randomized controlled trial has found intravenous (IV) low-dose ketamine to have comparable analgesic effect as usual morphine IV dose in acute severe vaso-occlusive pain in children. Painful vaso-occlusive crisis (VOC) is typical of sickle cell disease (SCD) which can occur at any time during the course of disease. Primarily opioids are used to manage severe sickle cell related pain. Though effective, one of the overriding problems with chronic opioid use is the development of refractory pain. Opioids also has its other innate undesirable effects such as respiratory depression and habit formation. The commonly used opioid morphine also requires relatively a longer period of time to achieve maximum pain relief, which is not desirable especially in acute severe pain where quick optimal response is desired. Added to the above plights is the problem with access to morphine. Being a controlled drug, morphine may not be available in many settings when these patients develop sudden crisis. Researchers from Australia, Kenya and Uganda wanted to know the pain relieving potency of the easily available NMDA receptor antagonist ketamine in these patient population. Beside it's very large therapeutic window, preliminary studies have shown the usefulness of ketamine in modulating opioid tolerance and opioid induced hyperalgesia. In their research published in the Scandinavian Journal of Pain (Feb, 2018), the researchers intended to compare the pain relieving potentials of ketamine and mor-phine using the Numerical Rating Scale (NRS). They also contemplated on maximal analgesic effect, duration of action, incidence of treatment failure and safety of both the drugs within 120 minutes of administration. The researchers randomized 240 children between 7 and 18 years of age with SCD to receive either 1 mg/kg of IV ketamine or 0.1 mg/kg of IV morphine, both in 15mL of normal saline or ringer lactate and infused over 10 minutes. Children with abnormal blood pressure, pulse or respiratory rate were not included in the study. They measured the pain using verbal NRS after 5, 10 and 20 minutes of drug administration and then every 20 minutes thereafter until a total of 120 minutes. Whenever the researchers noted a NRS of 5 or above in any patient, they administered an additional dose of their allocated study drug and those patients who required more than two doses within the study period were considered treatment failure. The researchers measured the average pain score before drug administration and found to be 9.1 on the 10 point NRS with 10 indicating the worst pain imaginable. The percentage reduction in pain score from the baseline (primary outcome) was found to be comparable between ketamine (66.4±29.9) and morphine (61.3±28.7) with a non-significant p value of 0.18. However, the researchers noted a significantly shorter time to achieve maximal pain reduction with ketamine (19.8±14.4) compared to that of morphine (34.1±22.1) p<0.01. Also, more patients in morphine group required additional doses. A second dose was administered in 21.4% of the ketamine group and 24.4% in the morphine group (p=0.07). Treatment failure was also more among those who received morphine with 40.3% requiring a third dose compared to only 29.1% in the ketamine group (p=0.07). Though no serious or life-threatening events were recorded, patients who received ketamine experienced more side-effects (37.5% vs 3.3%). Nystagmus and dysphoria were the commonest side-effects with 15% and 11.3% respectively. Six patients in the ketamine arm received atropine for salivation and eight patients required midazolam for persistent dysphoria. The Ramsay Sedation Scores showed no significant difference between groups and no differences in vital signs were noted either. This is the first head-to-head RCT comparing ketamine with morphine in this patient population. Previous studies were either retrospective in nature or involved ketamine only as an adjunct to morphine. The study has demonstrated efficacy of low-dose ketamine in par with morphine. Though the safety issues are more with ketamine, the authors concluded that the side-effects were transient and non-life threatening and may not be a concern for its use in acute severe VOC with careful monitoring. Nevertheless, the study has been criticized for using NRS and Ramsay Sedation Scale which were not validated in children. If these study results are to be accepted, ketamine could be a reasonable alternative in this study population when morphine is not preferred/available. Reference: Lubega FA, DeSilva MS, Munube D, Nkwine R, Tumukunde J, Agaba PK, et al. Low dose ketamine versus morphine for acute severe vaso occlusive pain in children: a randomized controlled trial. Scand J Pain. 2018 Jan 26;18(1):19’27. Eravacycline is the new tetracycline antibiotic approved by the US Food and Drug Administration (FDA) last month to treat adults with complicated intra-abdominal infections due to susceptible organisms. The drug is not indicated for complicated UTIs. The efficacy of eravacycline was demonstrated in two phase 3 randomized controlled trials. Eravacycline is metabolized pri-marily by CYP3A4’ and FMO-mediated oxidation and thus drug interactions are eminent when prescribed alongside strongv CYP3A4 inhibitors or inducers. The drug is excreted in urine and feces as unchanged eravacycline and metabolites. 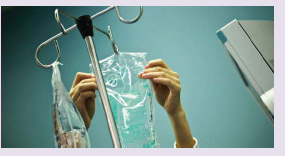 The recommended dosage is 1 mg/kg twice daily by IV infusion over approximately one hour for a period of 4 to 14 days. Possible side-effects include anaphylaxis, tooth discoloration, enamel hy-poplasia, inhibition of bone growth and Clostridium difficile uced diarrhea. Patient characteristics such as BMI, can alter the benefits and risks of type 2 diabetes mellitus therapy with sulfonylureas and thiazolidinediones, a study finds. The UK based study, funded by the Medical Research Council, found that BMI can alter the benefits and risks, in terms of differing glycaemic response and side-effects, of sulfonylureas and thiazolidinediones. The study looked at 22,379 pa-tients starting sulfonylurea or thiazolidinedione therapy in the UK Clinical Practice Research Datalink (CPRD) to identify features associated with increased one-year HbA1c blood glucose fall with one therapy class and reduced fall with the second. The researchers then used individual randomized trial data to assess whether pre-specified patient subgroups, defined by differential clinical factors, showed different five-year glycaemic responses and side-effects. In the CPRD group it was found that, compared with males, females had a greater response with thiazolidinediones but a lesser response with sulfonylureas. A higher BMI was associated with greater response with thiazolidinediones but a lesser response with sulfonylureas. The absolute risk of weight gain and oedema with thiazolidinediones was highest in the obese female subgroup. In the trial group, over five years the greater overall glycaemic response with sulfonylureas was seen in nonobese males. In contrast, there was a greater overall glycaemic response for obese females with thiazolidinediones over sulfonylureas. The researchers concluded that putting patients into subgroups - male and female, BMI >30kg/m2 and BMI ≤30kg/m2 - could help inform discussions around the choice of second-line therapies for individual patients. Medicines and Healthcare products Regulatory Agency (MHRA), UK has reported a series of cases of fatal medication error caused by the administration of conventional amphotericin B injection instead of lipid-based formulation. Parenteral amphotericin B is available in three formulations including conventional amphotericin B, liposomal am-photericin B and lipid-complex amphotericin B. These different formulations have different dose requirements and they are therefore not interchangeable. Amphotericin B overdoses may result in potentially fatal cardiac or cardiorespiratory arrest. MHRA urges prescribers, pharmacists and nurses to be fully aware of the formulation being used and the associated dose regimen to avoid errors. Source: Parenteral amphotericin B: reminder of risk of potentially fatal adverse reaction if formula-tions confused [Internet]. GOV.UK. [cited 2018 Jul 23]. The US FDA has approved a new device the Zephyr Endotracheal Valve, in-tended to treat breathing difficulty associated with severe emphysema. The FDA reviewed data from a multi-center study of 190 patients with severe emphysema. In this study, 128 patients were treated with Zephyr valves and medical management according to current clinical guidelines, including medications and pulmonary rehabilitation, while 62 patients (controls) received medical management only. Results of treatment were measured by how many patients in each arm of the study had at least a 15 percent improvement in pulmonary function scores. At one year, 47.7% of patients treated with Zephyr valves experienced at least a 15% improvement in their pulmonary function scores, compared with 16.8% of patients in the control group. Adverse events observed in the study include death, pneumothorax, pneumonia, worsening of emphysema, hemoptysis, dyspnea and chest pain. The device is contraindicated for patients with active lung infections; those who are allergic to nitinol, nickel, titanium or sili-cone; active smokers and those who are not able to tolerate the bronchoscopic procedure. Patients who have had major lung procedures, heart disease, large bubbles of air trapped in the lung or who have not responded to other treatments. Source: Commissioner of the Press Announcements - FDA approves novel device for treating breathing difficulty from severe emphysema [Internet]. [cited 2018 Jul 9]. A new formulation of a drug to prevent excessive bleeding following childbirth could potentially save thousands of women’s lives especially in low-and middle-income countries, according to a study led by WHO in collaboration with MSD for mothers and Ferring Pharmaceuticals. Currently, oxytocin is recommended as the first-choice drug to prevent haemorrhage after vaginal birth. Oxytocin, however, must be stored and transported at 2 to 8C. When stored outside the recommended temperature range or when exposed to heat, the drug may lose its potency rendering it ineffective. A study, recently published in the New England Journal of Medicine, has shown an alternative drug, carbetocin, to be safe and effective as oxytocin in preventing postpartum haemorrhage. More-over, carbetocin does not require refrigeration and retains its potency for at least 3 years when stored at 30C and 75% relative humidity. The study included 30000 women who gave birth vaginally in 10 countries including India. Each woman was randomly given a single injection of either carbetocin or oxytocin immediately after child birth. Both the drugs were found equally effective when stored at their respective recommended storage conditions. However, the drug will be available for clinical use only after regulatory approval by countries. Reference: Widmer M, Piaggio G, Nguyen TMH, Osoti A, Owa OO, Misra S, et al. Heat-Stable Carbetocin versus Oxytocin to Prevent Hemorrhage after Vaginal Birth. New England Journal of Medicine. 2018 Jun 27;0(0):null. The US FDA has approved plazomicin to treat complicated urinary tract infections (cUTI) in adults. Plazomicin is an aminoglycoside antibiotic administered once daily as an intravenous infusion. The drug has been approved to treat cUTI including pyelonephritis caused by E.coli , K.pneumoniae, P.mira bilis , and E.cloaceae in patients wh< have limited or no alternative treatment options. The approval of the drug is supported by data from thi EPIC clinical trial which included 388 patients where thi drug demonstrated non-inferiority to meropenem for thi co-primary efficacy endpoints of composite cure (clinica cure and microbiological eradication). Composite cur rates at day 5 were 88% for plazomicin and 91.4% fo meropenem. Composite cure rates at day 17 were 81.7% for plazomicin and 70.1% for meropenem. Composite curi at day 17 in patients with concomitant bacteraemia weri also higher in plazomicin group. The common side-effects due to plazomicin were rena impairment, diarrhoea, hypertension, headache, nausea vomiting and hypotension. Source: UPDATE - ZEMDRITM (plazomicin) Approved by FDA for th Treatment of Adults with Complicated Urinary Tract Infections (cUTI [Internet]. Achaogen. [cited 2018 Jul 10]. Erenumab is the new monoclonal antibody that has been recently approved by the US FDA	and recommended for approval by the European Medicines Agency (EMA) for the preventive treatment of migraine in adults. The treatment is given by once-monthly self-injections. Erenumab is a first-in-class drug that works by blocking the activity of calcitonin gene-related peptide, a molecule that is involved in migraine attacks. The effectiveness of erenumab was evaluated in three clinical trials. The first study included 955 participants with a history of episodic migraine and compared erenumab with placebo. Over a period of six months, erenumab-treated patients experienced, on average, one to two fewer monthly migraine days than those on placebo. The second study included 577 patients and com-pared erenumab with placebo. Over a period of three months, erenumab-treated patients experienced, on average, one fewer migraine day per month than those on placebo. The third study evaluated 667 patients with a history of chronic migraine and compared erenumab with placebo. In this study, over a period of three months, patients treated with erenumab experienced, on average, two and half fewer monthly migraine days than those receiving placebo. The most common side effects reported were injection site re-actions and constipation. What happens to the medicines after the expiry date? The efficacy of medicines can be guaranteed only till the actual expiry date mentioned on the medication label, provided the product remains sealed. It doesn't mean that the medicine will become ineffective immediately after the expiry date. The period till expiry date is only a duration up to which the stability study has been done and the medicine found to be stable. Studies suggest that many medicines retain their potency years after their initially labeled expiration dates. So, what really happens to the medicine after expiry date? Different medicines behave discretely and different dosage forms endure variable stability after expiry date. Generally, a medicine is considered stable if it retains 90% or greater of a labeled active ingredient at any given point of time. But for some medicines, stability is based on their ability to retain activity rather than the quantity. Life expectancy of medicines widely vary depending partly on the ambience in which it is stored. Exposing medicines to different environments will increase the risk of deteriorating soon. A good example for this type is insulin which is ideally stored in refrigerator. But, once they are removed from the refrigerator (while in use) and exposed to higher temperature, insulin will soon get denatured. For this reason, insulin should be used within 28 days of first using it. Hence it’s important to store medicines in their optimal environment consistently. But, except unit dosage form, the remnants may be exposed to an undesirable environment at the point of time when it is first used. For an instance, when a medicated syrup contained in a sealed bottle is used for the first time, it is exposed to light, polluted air etc., a bottle containing hygroscopic tablets may be exposed to moisture present in the air, an intravenous injection without added preservative may be exposed to microbes swamped in the air. All these factors and many others may collectively contribute to swift deterioration of the medicine than expected. It is therefore necessary to assign a new expiry date once when the product is exposed to an unfavourable environment or once after first using it. By this time, the original expiry date mentioned on the label becomes invalid. The assigned new expiry date is often referred as beyond-use date. Many medicines that we dispense will eventually require a beyond-use date. Only tablets and capsules in original blister or foil pack can be used till its manufacturer specified expiry date. For tablets and capsules that come in bottles, the beyond-use date is one year from the date of dispensing or manufacturer’s expiry date whichever comes first. This is because of the fact that these medicines may not be kept at ideal conditions after they are dispensed, such as optimal temperature, moisture, environmental contaminants etc. Tubes of creams and ointments should ideally be used within 3 months of first opening, because of exposure to environmental contamination. Manufacturers of eye, ear and nasal drops usually recommend a beyond-use date of one month. 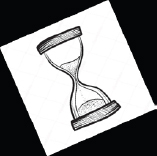 Water containing dosage forms, when prepared from ingredients in solid form, the beyond-use date should not be later than 14 days at optimal environment. This is because the drug is not stable in aqueous base. For example, coamoxiclav oral suspension prepared from powder. Injectable medicines are usually compounded and/or packaged in something other than the original manufacturer’s container. They are often diluted prior to administration and stored under different conditions than the original packing. These factors have a direct and important impact on the stability of the final preparation. Similarly, many injections that need to be reconstituted prior to administration will have beyond-use dates, usually specified by the manufacturer. This is because of the risk for contamination and stability in aqueous medium. Examples for this category include many antibiotics such as vancomycin, meropenem and colistin. To conclude, drugs beyond expiration dates don’t usually become completely ineffective and may not even be harmful provided they are in their original sealed containers and stored in ideal environments. Supporting this, is the fact that there are not many documented harm from taking expired medications. However, once the expiration date has passed there is no guarantee that the medicine will be safe and effective and hence use of expired medicine is not recommended. Cantrell L, Suchard JR, Wu A, Gerona RR. Stability of Active Ingredients in Long-Expired Prescription Medications. Arch Intern Med. 2012 Nov 26;172(21):1685-7. Technician tutorial: Drug expiration and beyond-use dates. Pharmacist’s letter; 2017. Topical medicines and application record sheet: Guidance sheet 11. NHS, Devon Clinical Commissioning Group; 2018. Bulletin April 2015.pdf [Internet]. [cited 2018 Jul 23].